Dinosaur World will be donating new packaged toys to local charities this holiday season and visitors can help. We are already accepting toy donations. 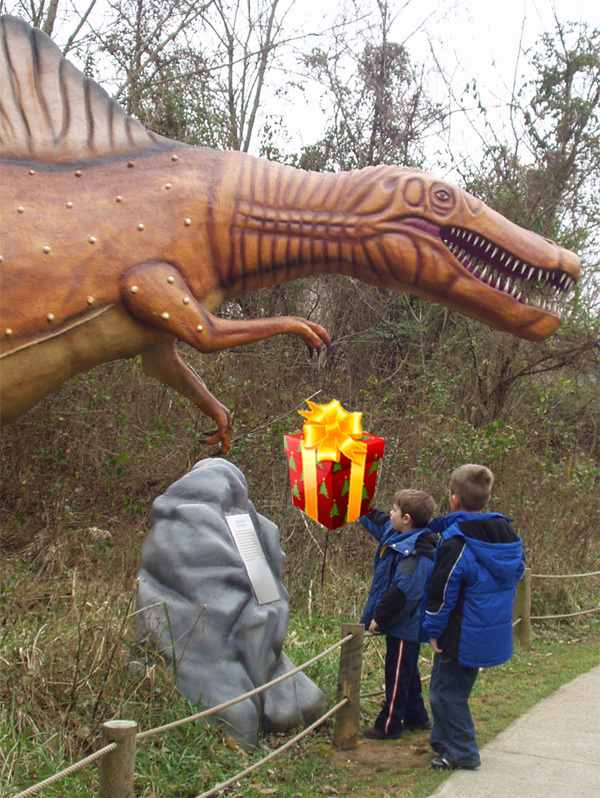 As an added bonus - visit Dinosaur World the first two Sundays in December (December 2nd, 9th) and receive 1/2 off admission with a new packaged toy. Donations in Kentucky will go to the NorthEastern Family Resource Center. This services the schools of North Jackson and Eastern Elementary in Barren County. Donations in Texas will go to Santa's Angel Tree Program. Donations in Florida will go to the Marine Toys For Tots Foundation in Tampa. "This is a way we can spread some joy on several levels," said Marketing Director Nicole Randall. "We can help those donating toys with admission discounts and most importantly, we can help children in need." For more information on holiday toy donations contact Nicole Randall at 270-773-4345 or dinosaurworlds@gmail.com. *Discount applies to per person per toy. New packaged toys should be presented at time of admission purchase - minimum of $5 toy if purchased at Dinosaur World gift shop.